DearMob iPhone Manager 3.0 was available as a giveaway on September 21, 2018! How would you improve DearMob iPhone Manager 3.0? I do not see the word 'Register' in the program display. In the matter of fact, the program display is bigger than my monitor in longitude. Any way I can do to make the program display smaller? Did you scale up your screen resolution? If so, try to set it to default scale. the minimum resolution we support is 1280 X 960.
joseph wu, Hi Al, Did you scale up your screen resolution? If so, try to set it to default scale. the minimum resolution we support is 1280 X 960. Thanks for your support. I got a key downloaded to me, but what Licensed Email shall I use? Just register with any email account of yours, as long as it's valid, after that you can enjoy the full feature. How long is the license good for. How long is the license good for. Thanks. As long as you don't upgrade the software. This license code doesn't support free upgrade but you can use the full feature of the current version with no restrictions. Hi Pete, As long as you don't upgrade the software. This license code doesn't support free upgrade but you can use the full feature of the current version with no restrictions. I notice the resemblance to WinX Media Trans by Digarity and DearMob iPhone Manager 3.0 what is the relationship with the 2 companies? I already own WinX Media Trans. What is the difference between the two programs? 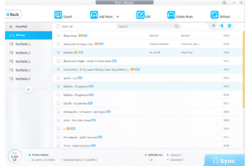 I am considering purchasing DearMob iPhone Manager 3.0 for the full iPhone Backup. I notice the resemblance to WinX Media Trans by Digarity and DearMob iPhone Manager 3.0 what is the relationship with the 2 companies? I already own WinX Media Trans. What is the difference between the two programs? 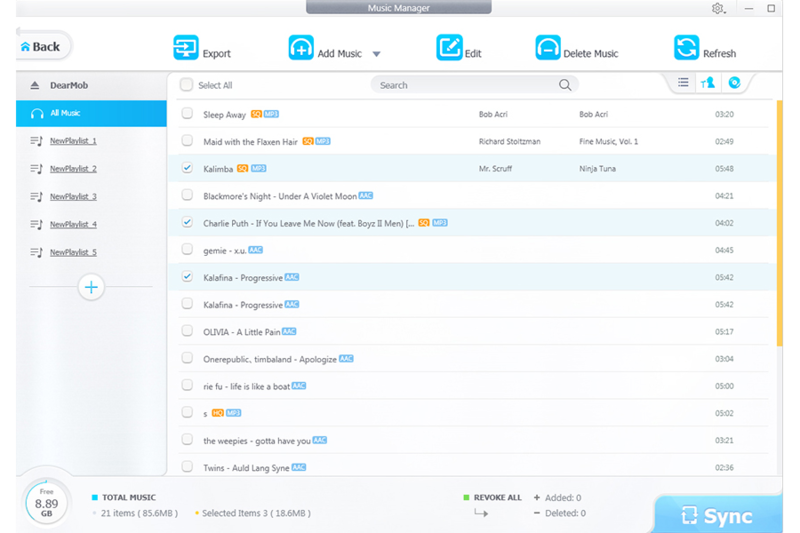 I am considering purchasing DearMob iPhone Manager 3.0 for the full iPhone Backup. DearMob iPhone Manager is a iPhone backup tool for backing up and transferring iPhone data both fully and selectively , while WinX MediaTrans is an expertise in transferring iPhone media files. DearMob and WinXDVD are separate product lines that are both owned by Digiarty. Hi John Davies, DearMob iPhone Manager is a iPhone backup tool for backing up and transferring iPhone data both fully and selectively , while WinX MediaTrans is an expertise in transferring iPhone media files. DearMob and WinXDVD are separate product lines that are both owned by Digiarty. Installing and activating worked well. However, I can't export/backup my DRM music. When I Click on DECODE, it opens iTunes and flashes between the DearMob software and iTunes, but no non-DRM files are produced. This is a rare problem, I will forward your it to the DEV. And in the mean time, can you please send a screenshot and the software log file to support@5kplayer.com, so we can reply you when we find out where the problem is? DearMob Team, Where do I find the log file? James, Please click "About" > "Send Feedback", you can check the screenshot below. I mostly downloaded it to show messages and save to PDF. But about 5 seconds in to trying to load the SMS, the whole program crashes. ive tried 5 times, and i tried other parts of the program and it works fine! so close! thanks for the chance to at least try the program! Can you please send the software log file so we could further look into it? Please click "Send Feedback" and then send the file to support@5kplayer.com. DearMob Team, thanks for the advice. the program crashes so quickly, there is not even a log file. nothing to send. bummer! AJ, You said you tried the other part of the program and it works fine, can you send us the log file when you are not using the message feature? I actually know why this happened, can you give me your email so I can send you a file to fix it? I have downloaded and installed DearMob and it seams that there is no control for the main screen size as I can't see the whole screen. It can't be resized and there is no way to see the top or the bottom of the open window. What Gives? Hi Al, Did you scale up your screen resolution? If so, try to set it to default scale. the minimum resolution we support is 1280 X 960. Thanks for your support. I am already at my default resolution which is 2560x1440 and if I change it for your program it causes problems for other programs. ? DearMob Team, I am already at my default resolution which is 2560x1440 and if I change it for your program it causes problems for other programs. ? No, it won't cause problem for other programs. Hi Tanek, Sure! 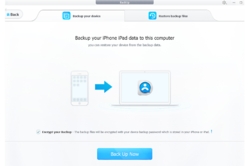 You can selectively backup contacts to your PC and restore it to another iPhone. Here is a detailed user guide to show you how to transfer iPhone contacts with DearMob iPhone Manager. I hate jumping through hoops. Have done everything instructed to get the activation code, and nothing. Uninstalling. Hi Dingo, we are so sorry for the troubles, it should be no problem if you follow the steps as instructed. Please send an email to daisy@5kplayer.com if you didn't get the activation code, we will send you the code instantly. Could not get free activation registration number to download. Tried several times with link supplied, only went to Purchase window....no email request for "Activation key". 2. Click "Get Free for Win" button, and then you will get a .zip package which contains license code in the "Read Me" file. Just got it to work and install properly. Will see how the application works over the next while. Bill, Just got it to work and install properly. Will see how the application works over the next while. sorry Dave, In order to backup apps you need to do a full backup with "Backup" feature of DearMob, right now DearMob only supports to selectively back up certain files which created by the apps..
Are you saying that the apps are backed up with the full backup, but that they cannot be singly added back into the backed up iPhone. Or in other words, that when you do a restore from a full backup you will get all of the apps back on your phone that were installed at the time you made the backup? 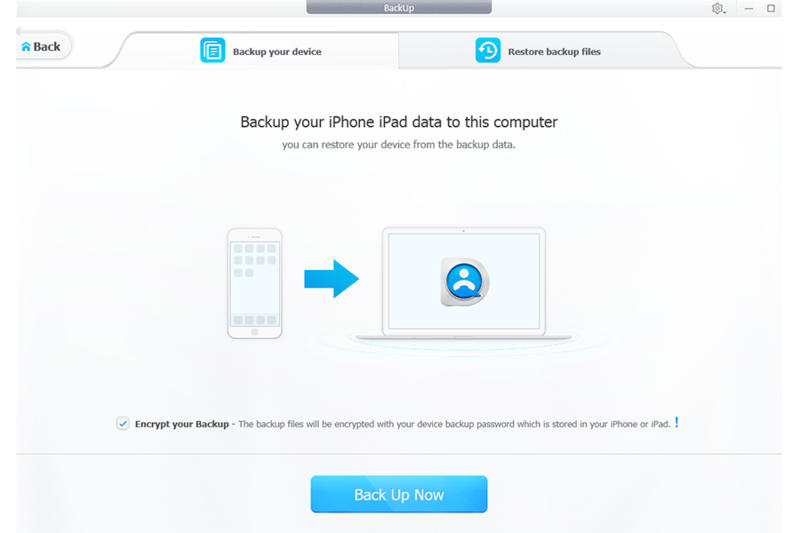 DearMob Team, Are you saying that the apps are backed up with the full backup, but that they cannot be singly added back into the backed up iPhone. Or in other words, that when you do a restore from a full backup you will get all of the apps back on your phone that were installed at the time you made the backup? That's correct! 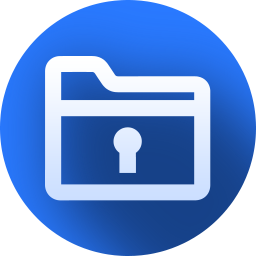 when you do full backup and restore it later, all files will be restored including apps. Hi Marty, That's correct! when you do full backup and restore it later, all files will be restored including apps. "No iTunes or any Apple service required, such as "Apple Support Service" and "Apple Mobile Device Support". But I-tunes must be intalled on PC, yes? Hello DearMob Team, this is a VERY valid question!! Do we need to have iTunes installed on the PC or not? Very receantly we had an app in here that stated the same thing but after installation did not work because there was no iTunes installed!!! Mario, No, not all all, iTunes is not required on PC. You can test it. That's a good question. DearMob can help you install and uninstall apps, but I'm afraid it can not export apps separately for now. I will forward to the DEV your demand and hope they can add this feature soon. Hi Mikeg, That's a good question. DearMob can help you install and uninstall apps, but I'm afraid it can not export apps separately for now. I will forward to the DEV your demand and hope they can add this feature soon. Seems to work well on Iphone6 but not on my old iphone4. Not very 'up' on iphones so I will leave it to others to comment but it works fine and layout is clear. Registration requires going to site and clicking on another download of what might appear to be the same file but it isn't (And its in centre of page on my pc - not on the right) Seems to work well on Iphone6 but not on my old iphone4. Not very 'up' on iphones so I will leave it to others to comment but it works fine and layout is clear. Hi Terry I, that's correct, it isn't same file, because the file you download from our site contains the license code. For the old iPhone 4 issue, does your iPhone 4 running iOS 7, if so, it should be no problem. I'm regret to say that iOS 7 is the lowest version DearMob supports. Hi Terry I, that's correct, it isn't same file, because the file you download from our site contains the license code. For the old iPhone 4 issue, does your iPhone 4 running iOS 7, if so, it should be no problem. I'm regret to say that iOS 7 is the lowest version DearMob supports. OMG, this is exactly the thing i want for years! I'm a 10yrs iPhone user and is still paranoid that iTunes' batch SYNC feature might have erased my data somehow. Finally, you guys let me safely and clearly choose whatever i want to transfer between devices. Great work! OMG, this is exactly the thing i want for years! I'm a 10yrs iPhone user and is still paranoid that iTunes' batch SYNC feature might have erased my data somehow. Finally, you guys let me safely and clearly choose whatever i want to transfer between devices. Great work!